Life is greener where you water it! 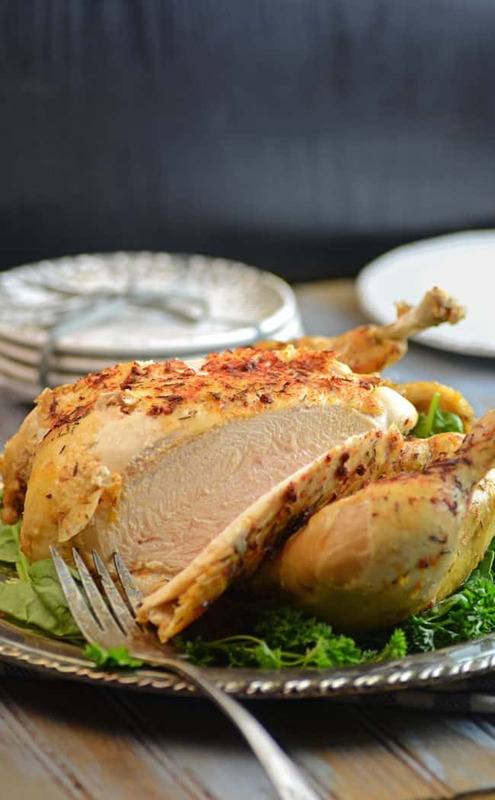 Dinner doesn’t really get any easier than putting a Whole Chicken in a Crock Pot. But it is also really hard to make chicken dinner more delicious. This is so easy, it is going to become a staple at your house too. 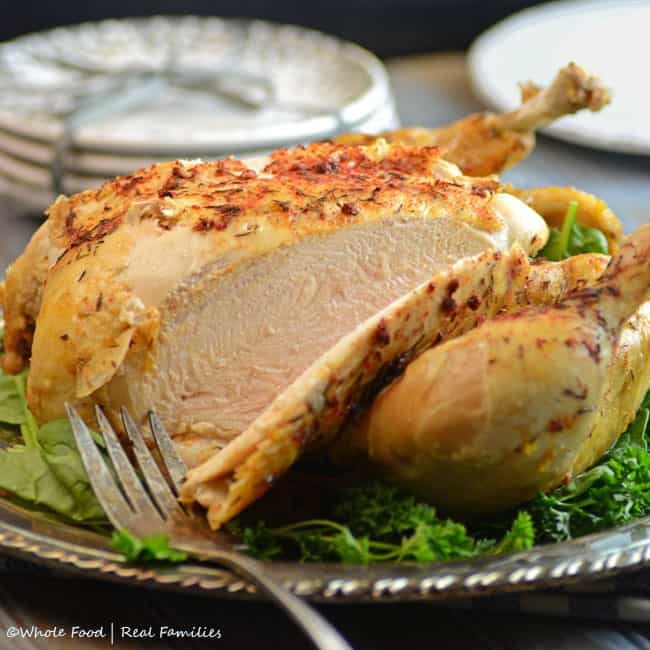 I first tried this recipe for Whole Chicken in a Crock Pot from 100 Days of Real Food on a cooking day – which for me means I had 5 or 6 recipes going on in my kitchen at the same time. I wasn’t sure about a whole chicken in the slow cooker. I had never tried it before but the reviews for this recipe were excellent so I gave it a go. Everything was loaded into the slow cooker and ready to go in less than 5 minutes and done cooking in about 4 1/2 hours. It really is excellent – and everyone in my family really liked it including the adults, the teenager, and the babies. That is a feat by anyone’s standards! Since the chicken tasted so good, I followed the advice on 100 Days of Real Food and turned the leftover bones and cooking liquid into chicken stock by leaving it all in the same slow cooker, adding in a few veggies and herbs and cooking it overnight. The chicken stock was very flavorful! It soon became a Chicken Vegetable Soup, which after having a healthy sampling, I froze in two cup servings. Now when I have leftover pasta, rice or quinoa, I thaw out soup in the fridge overnight, heat it and pour it over the leftovers to make dinner or lunch the next day. So all in all, my chicken made leftover stock, that made leftover soup, that uses leftovers. Excellent! Now that is thrifty planning! We prefer to buy our meat locally from the butcher. We are very lucky that our butcher sources a great deal of their meat locally from family farms. If that is not a choice, we usually opt for organic chicken. If you choose that as well, you will notice that they tend to be smaller than conventionally raised chickens. (Antibiotics in their feed make them grow faster and larger.) So keep that in mind as you plan for how much to buy for your family. One chicken is never enough and two is too much, so I have learned firsthand that the leftovers freeze great for later meals! Combine the dried spices in a small bowl. Loosely chop the onion and place it in the bottom of the slow cooker. Remove any giblets from the chicken and then rub the spice mixture all over. You can even put some of the spices inside the cavity and under the skin covering the breasts. Put prepared chicken on top of the onions in the slow cooker, cover it, and turn it on to high. There is no need to add extra liquid. 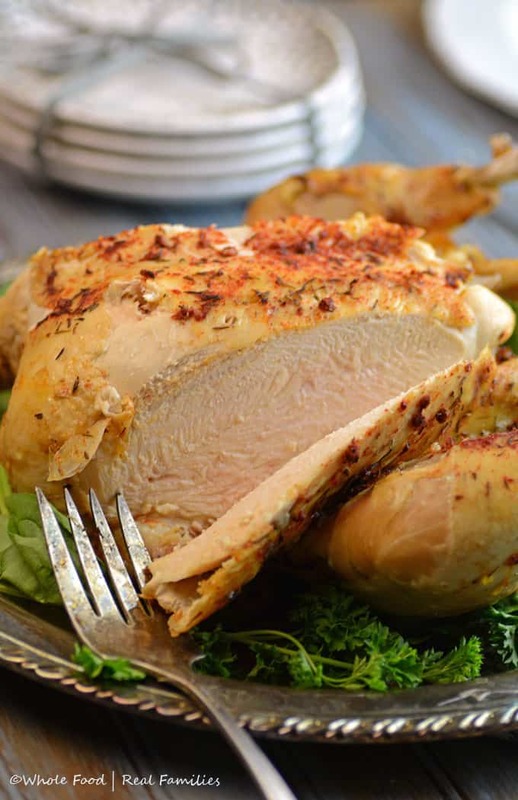 Cook for 4 – 5 hours on high (for a 3 or 4 pound chicken) or until the chicken is falling off the bone. Don't forget to make your homemade stock with the leftover bones! Cynthia is a writer, photographer, and recipe developer. She was in corporate marketing for 15 years before leaving it to focus on family. She started blogging as a way to nourish the desire to work while balancing the joys and duties that come with having more kids than hands. She is married to an aerospace engineer who likes to man the grill and has 3 daughters - a teenager and two toddlers. Follow her on Facebook, Instagram and Twitter, and Pinterest. Food, Family & Crafts – Sign up and get them in your inbox! This website is not intended to be medical advice. I partner with our family doctor and the children's pediatrician and encourage you to do the same. Some links on this site are affiliate links. If you choose to purchase through these links, you do not pay more but I may receive a small commission.